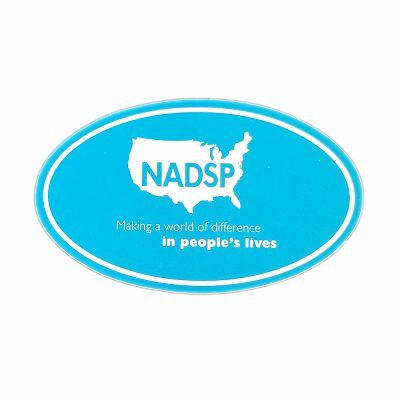 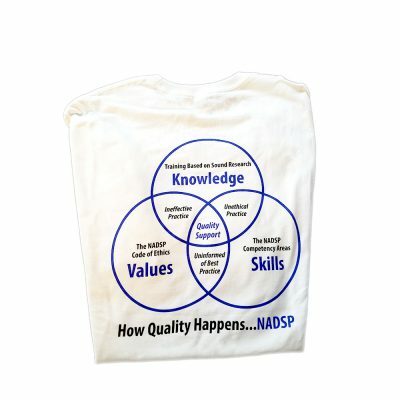 NADSP promotional items are a great way to recognize DSPs! 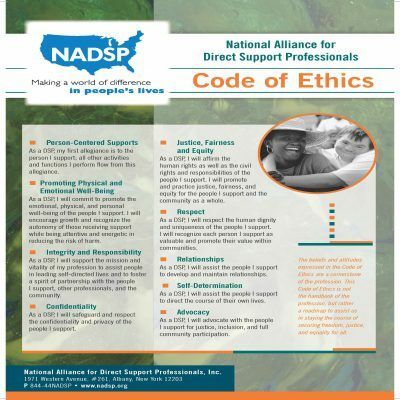 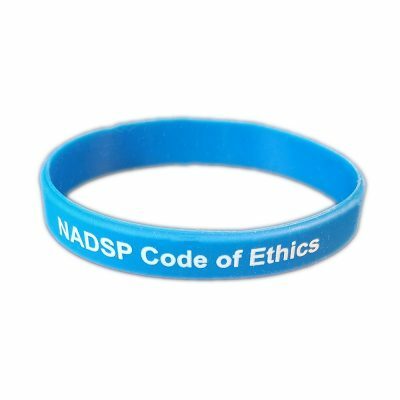 The NADSP Code of Ethics is copyrighted and while we allow for and encourage the use of the Code of Ethics, NADSP prohibits the reproduction, altering or unauthorized use of the Code of Ethics. 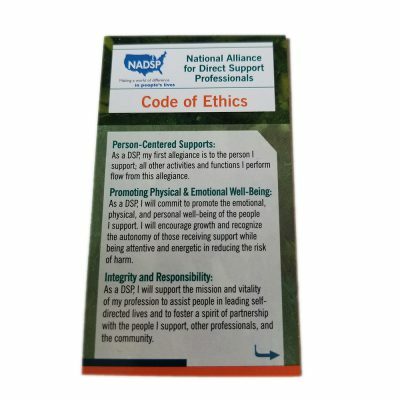 Any use of the Code of Ethics must list the National Alliance for Direct Support Professionals as the author. 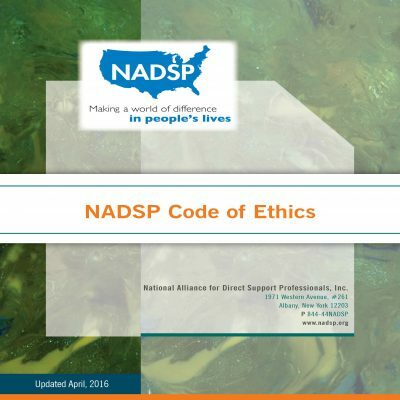 Please contact NADSP for permission in the use of the Code of Ethics. 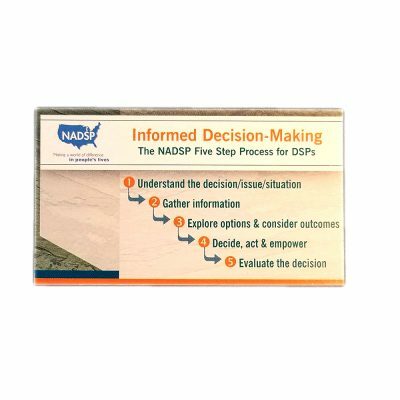 Informed Decision Making materials are available for purchase only by organizations that have purchased the IDM Train the Trainer curriculum from NADSP.